Every year, Canadians prepare their tax returns for the CRA. With a few weeks to go before the tax deadline, you might be looking for the right tax software to get you through it. A number of readers might normally complete their taxes with full versions of TurboTax or Ufile. Both of these are great programs with plenty of features that can help you prepare and file your taxes with ease, but they can cost money. We all like to save money if we can, and the cost might not even be even feasible for those with low incomes. Before you pay for your tax software this year, take a look at some of the free options out there. In the past, free tax software may not have had all the bells and whistles of the bigger titles, but things are changing. 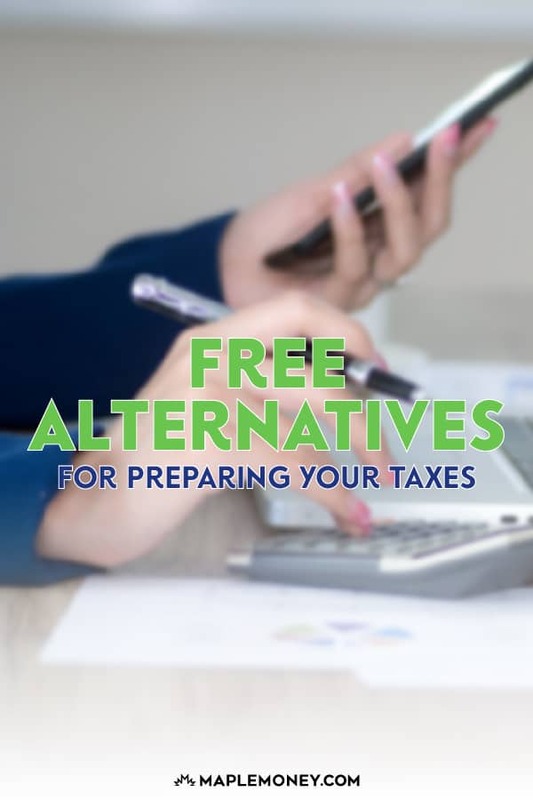 There are plenty of free tax software alternatives with great functionality that offer you the ability to take care of most situations — including self-employment and investing/rental income. While you can get full functionality by buying the UFile software, there is a free version for Canadians. UFileFREE offers a limited return for those who meet certain qualifications, such as if you are filing a Federal return for the first time, or if your total family income is under $20,000. This option isn’t for those with more complicated taxes, but it can be a good choice for those who qualify. TurboTax has recently made its tax software free for Canadian filers, no matter the tax situation, and with no income limit. Additionally, Turbotax works with a variety of devices and operating systems. However, there are some limits associated with this software, even when you file with NETFILE. Quebec is an excluded province, and you can’t use Form T1273 (AgriStability) or Form T1135 (Foreign Income). Plus, you can’t transfer last year’s information unless you use a paid version. For the most part, as your situation becomes more complex, you might be required to buy an upgraded version of TurboTax to finish your return, even though you can start for free. H&R Block is offering its tax software for free to Canadians, including for those who are self-employed or have investment income. You can use NETFILE to take care of the filing, and the software works with Mac, Windows, tablets, and smartphones. You can file your Quebec provincial return with H&R Block as well. However, there are some add-ons that cost money, such as a Pro Review and Audit Protection. Another simple tax return program is AdvTax. Languages supported include French and Chinese, in addition to English. You can find broad support for most forms, including for single person, family, and self-employed returns. AdvTax supports Quebec tax returns, which makes it a nice free tax software choice for residents of that province. This option is truly free, and it involves you downloading the tax and PDF files and then uploading to the CRA NETFILE. GenuTax uses an easy to understand interview process to take you through filling out your tax forms so that you can get the refund that you are entitled to. You can file information for tax years 2003 through 2016, in addition to the current tax year. 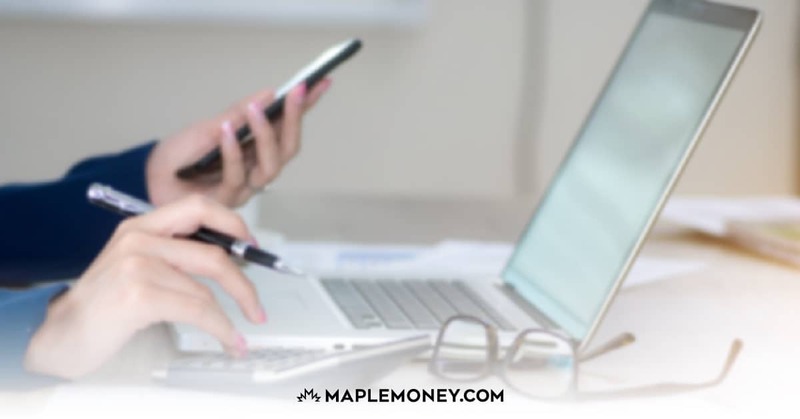 This is different from some free software, like SimpleTax, that will allow you to start in on the most recent forms now so that you are ready to file later. Most tax situations are covered, although GenuTax doesn’t support Quebec provincial returns. Finally, there is EachTax. You can use this tax software to file a return that will meet most of your needs. However, it is only free to those who are new customers, new immigrants, seniors (70+), or have an income of less than $25,000. For the rest, the price for filing a return is fairly low, though, with $5.99 for the first return and $3.99 for each additional return. And, as with many free programs, Quebec is an excluded province. Carefully consider what works best for you. While free software works in most situations, you might still be better off buying more advanced software or going in and speaking with a professional. I’m not doing my own taxes this year, but I will be next year and I’m already looking around for some ideas. I’m looking forward to your other software reviews! Will be trying out StudioTax this year. Thanks for the tip. Nice thread. For the last couple of years I’ve been getting a copy of the Tax Planning guide issued by CA (chartered accountants) and I find it useful. With QuickTax and H&RBlock they have really basic tax filing online that is free, and if you need to ‘upgrade’ then you can pay. I think for both you can’t have any sort of investment income (e.g. T5’s or T3’s). Wow, this is convenient. I was just about to start looking for a free way to file my own taxes. So if UFile has a free until $20k limit, and H&R Block and QuickTax do too, I wonder if any of these are “free” until a certain amount. I am looking forward to the reviews! Alan, this software is truly free, not just ‘free with a catch’. They do accept donations though to keep things going. Worth mentioning that none of the free alternatives are compatible with Quebec, only the Federal portion. I am a non-resident who has just had a dragged out, awful experience with a local Canadian tax preparer. He has made so many mistakes that I feel compelled to file my own taxes. The kicker is I’ve only got rental income in Canada…can anyone recommend good software that can handle NR rental income? I was pleasantly surprised with Taxtron. My wife & I both have under $20K in income, and I was able to netfile for both of us with the download version (no license). I also tried myTaxExpress, but it calculated that I would get back ~$600 less than Taxtron. I did find both programs complicated; my wife is a full-time student with no employment income, we have child care expenses, and I have self-employment income. Maximizing her provincial education tax deduction, figuring out who can claim the child care expenses, and maximizing my working income tax benefit took me many hours, and I’m still not sure I’ve done it the best way I can. If you want to use MyTaxExpress you have to be very careful. It would cause you to lose money. I tried myTaxExpress last year and also did a sanity check with two other tax software. To my suprise the calculated refund from myTaxExpress is $500 less than the other two tax software. Luckily I didn’t use myTaxExpress to file my return, otherwise I would have lost $500. Is the HR Block one really free? They cover cost with advertising or hope you have questions and go in? I have a tax preparer that does it for clients $50 . Its a 20 minute job! It’s good to see that there are so many free packages to choose from. Tax software, like many other things, has moved toward a “freemium” pricing model, where you get the basics for free, but if you want more, you have to pay. Although some of these packages really do seem to offer everything for free, leading me to wonder how they stay in business! I’ve been using SimpleTax for a number of years now, really like the clean interface. I am a small businessman I own a Restaurant and 10 rooms motel here in Trochu Alberta, do you know any good accountant that I can consulted with regarding my year end Tax filing?, Do you know also a sort or a book keeping guys so that they can prepare all my paper work in order before it will reach the accountant, so that I can save a little bit of time for the accountant. I didn’t even know that there were so many free options. I think I may be taking a look at some of these programs as an option for my taxes this year. Great post. Wish I gave this a read before tax season started, but I will keep some of these options in mind for the future. I tried Studio Tax this year and found it to be a very good program. I have been using tax software for over 20 years. Used Intuit’s QuickTax for 10 years. Moved to Ufile and others for awhile. I have been using StudioTax for last few years. I just finished filing and donated $15. StudioTax has following features: No income limit; foreign dividend income; split pension income; share spouse’s T5 data; extract personal data from previous StudioTax filing. I would highly recommend StudioTax. Simply tax. Eaay to use. I usually pay them a small fee although it is optional. It’s great that there are so many free tax programs. I have used Studio tax in the past and liked it. However, I would caution a lot of people about being ” penny-wise but pound foolish” I am a professional tax preparer with CRA experience. It may be wise to have someone look at your return or to have a consultation with a professional sometime. This is especially true if your return is complicated. with a note that it does not support Netfile, it will print forms to be mailed. I have used it for over 10 years and it works really well for me.